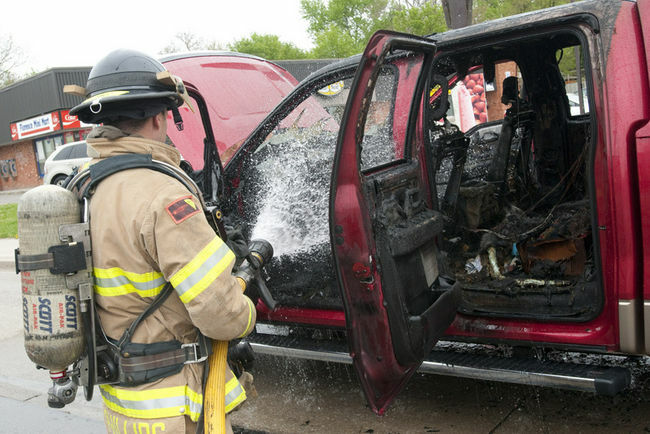 A firefighter douses a pickup truck after it burst into flames in London Friday. A man was left to watch his truck burn Friday afternoon after the undercoating caught fire. Within minutes of leaving the auto shop where the job was done, the truck stalled in the intersection of Egerton and Florence streets where witnesses say flames quickly engulfed the cab of the 2012 Ford pickup truck. 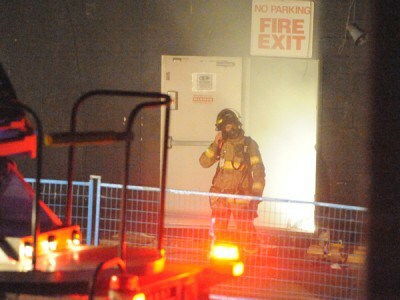 Heavy smoke could be seen from a few kilometers away before firefighters were able to extinguish the fire. The driver, the only occupant, escaped the vehicle unharmed. 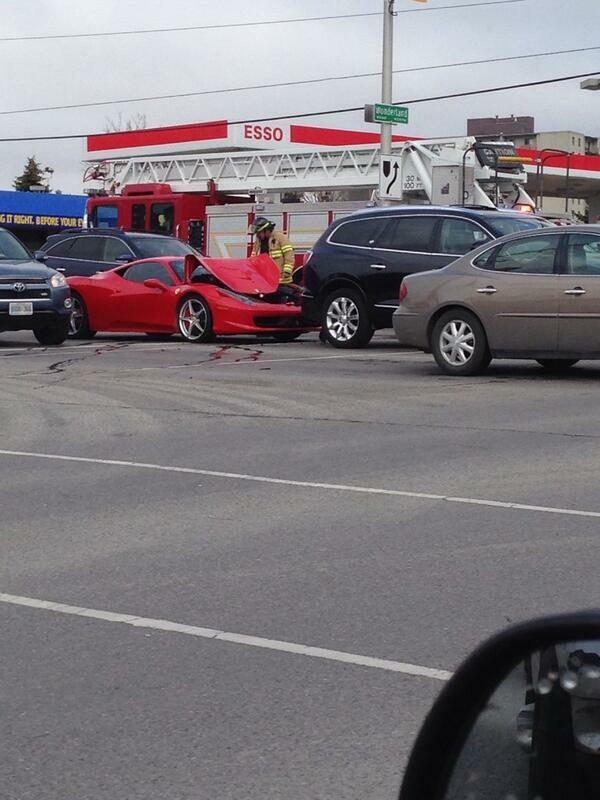 Fire officials at the scene expect the vehicle to be written off.